Indeed, our parents deserve our honor and respect but if your parent is in jail for a crime he committed, would you still give him the same honor and respect you would have if he had been innocent? 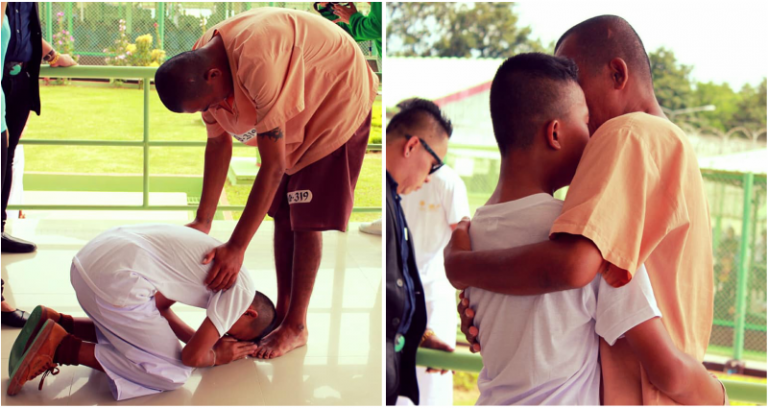 A Thai teenager faced this dilemma while visiting a jail facility in Rayong province, Thailand. The teen was part of a group doing an educational tour with their teacher, Arom Khunmoung. They were visiting the jail facility when the teacher noticed that one of his students was crying silently while staring intently at a prisoner standing from afar. Glancing at the prisoner, the teacher was surprised to see tears in the man’s eyes; though the two were far from each other and had not uttered any words at all. So, he asked the student what was wrong and was surprised to learn that the prisoner was the teen’s dad. When the student signified that he wishes to talk with his dad, Khunmoung arranged with the jail warden for the two to be allowed a few minutes together. It was a bittersweet reunion. “They ran into each other’s arms in tears. 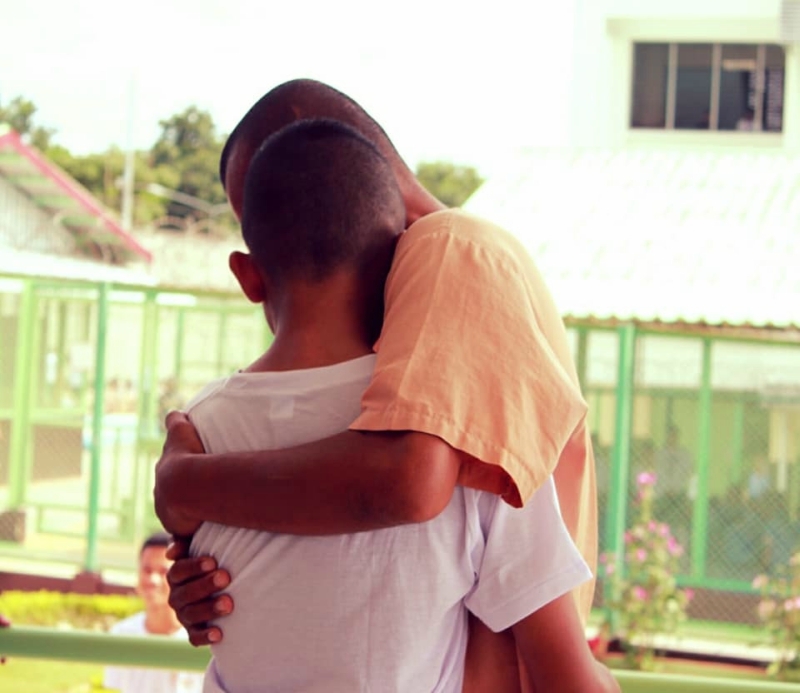 The father kept kissing his son while saying, ‘I’m so sorry, I miss you. When I leave this place, I will be a good person,’” Khunmoung revealed. The teacher did not mention what crime the father was serving in jail but the teen didn’t appear to lose respect. “Are you ashamed of me? Are you embarrassed because your friends see that I’m in prison?” the dad asked, rather ashamed that his son’s friends had to know about this. But the boy replied, “No, I’m not ashamed at all!” Then, he bowed low to the ground, showing respect to his dad despite him being a prisoner! “This father-and-son will serve as an example to those who still have freedom… Show your love while you still have the chance,” Khunmoung ended the post.